There are 87 counties in Minnesota, and just like each of its 10,000+ lakes, they each have their own individual quirks and characteristics. And at the epicenter of each county is a town dubbed the “County Seat,” where the county courthouse is located. 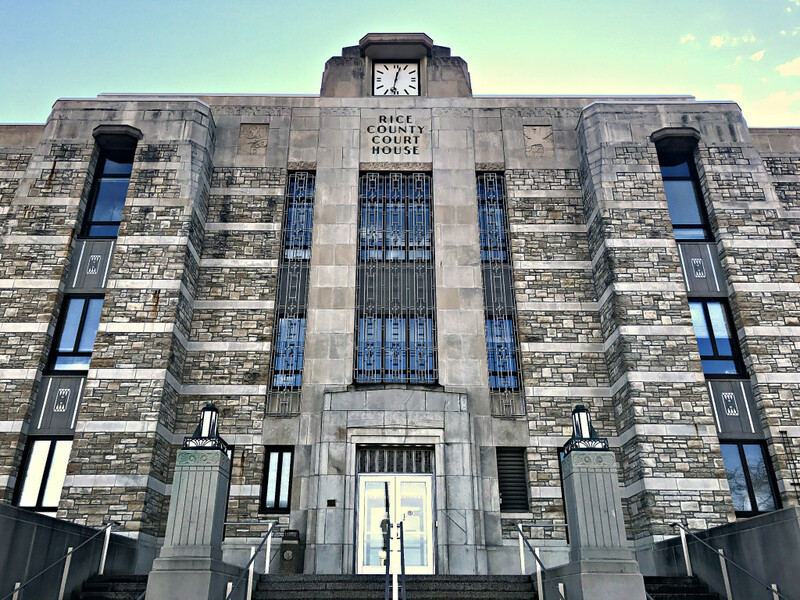 Architecturally, the courthouses run the gamut – many are historic and beautiful, built with locally-quarried stone, and some have been demolished and replaced with updated, modern structures. But of all the beauties to choose from, here are Highway Highlights’ Top 10 Coolest Courthouses in Minnesota. 10. Stearns County (St. Cloud) – St. Cloud technically stretches into three counties (Stearns, Benton, and Sherburne), but the majority of St. Cloud is in Stearns County, a historic and significant county in Minnesota in terms of architecture. Its courthouse, found in downtown St. Cloud, was built in the 1920’s in the Beaux-Arts design, derivative of the architecture found in Paris from the late 1600’s. 9. 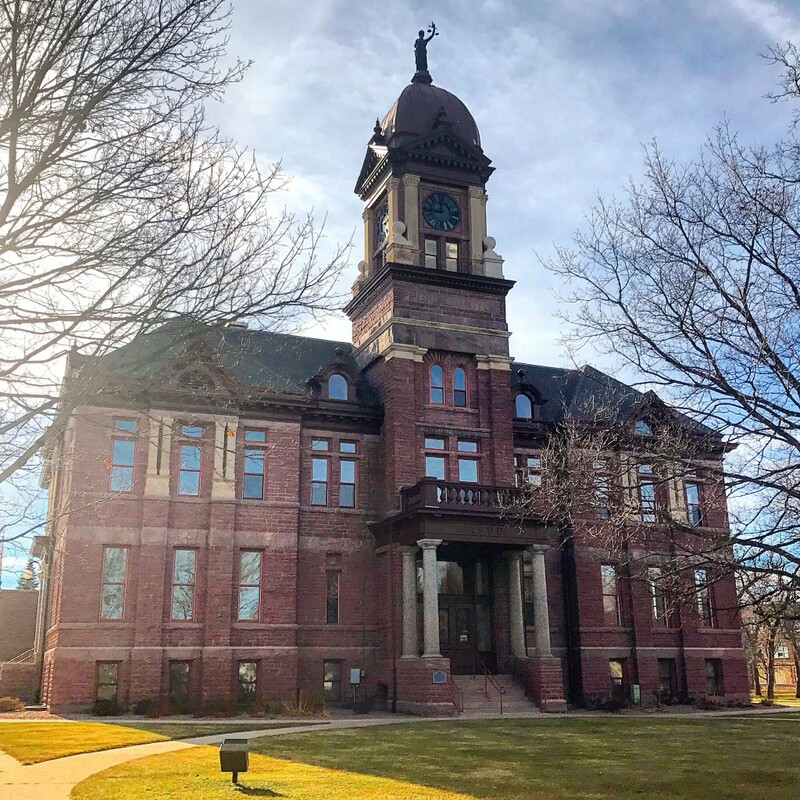 Washington County (Stillwater) – Standing high on a hill overlooking historic Stillwater and the St. Criox River valley, the Washington County Courthouse is one of the oldest in Minnesota. 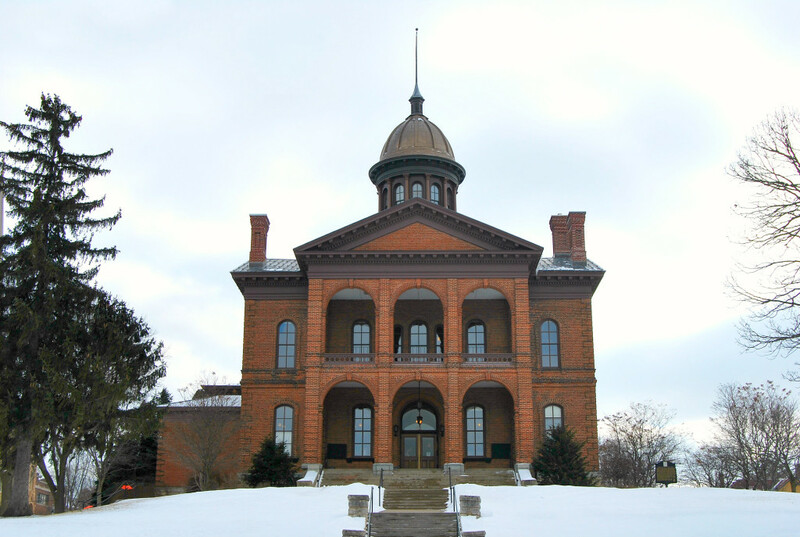 It was designed in the Italianate Style, with its completion date being in 1870. The classic brick building is topped with a copper dome, cupola, and flagpole. 8. 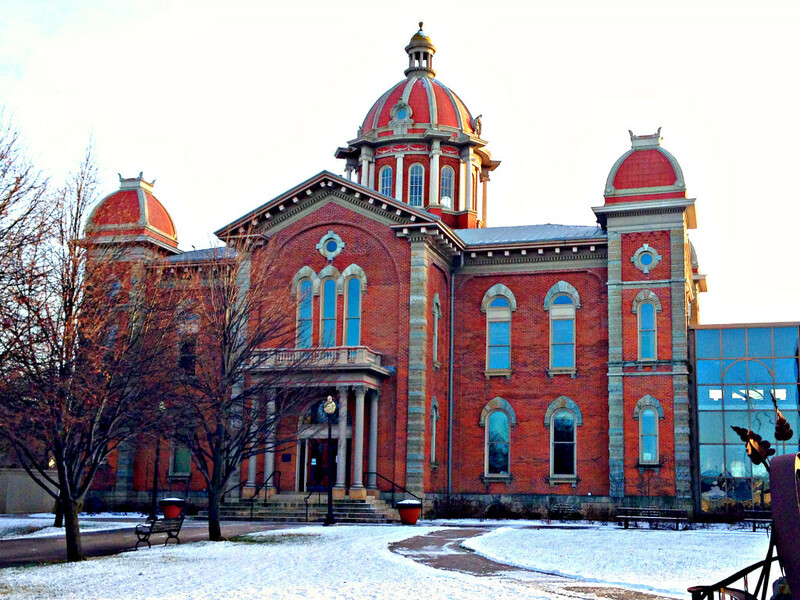 Blue Earth County (Mankato) – The ornate Blue Earth County Courthouse in Mankato dates back to 1886 and displays examples of Second Empire and Italianate styles of architecture. Much like Stillwater’s courthouse, it stands up on a hill overlooking downtown Mankato and the Minnesota River Valley. 7. Clay County (Moorhead) – Moorhead’s courthouse is a bold, blocky example of Midcentury-Modern architecture, common of the late 1930’s- early 60’s. 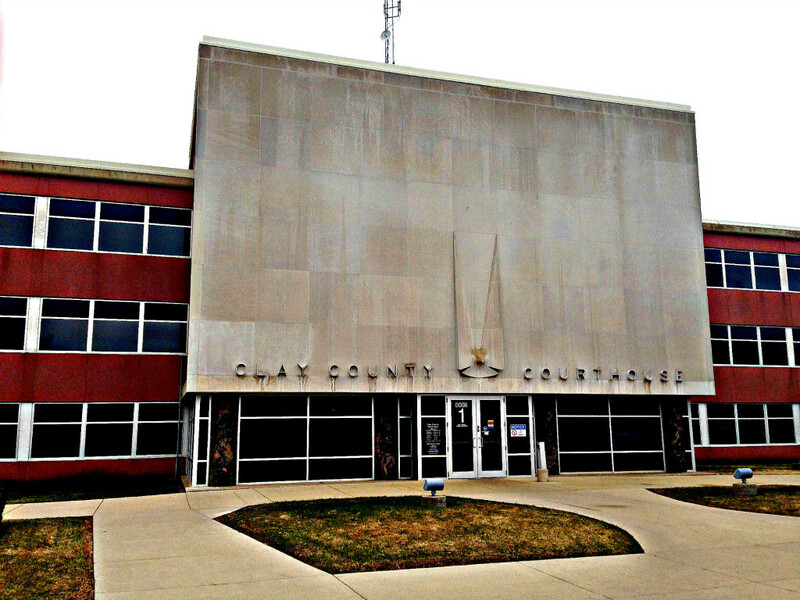 The building replaced an earlier courthouse, and features a 2-story rectangular cement facade with raised lettering and a relief sculpture, all built in 1953. 6. Grant County (Elbow Lake) – The Grant County Courthouse in Elbow Lake stands tall at the end of the downtown stretch, overlooking the town. 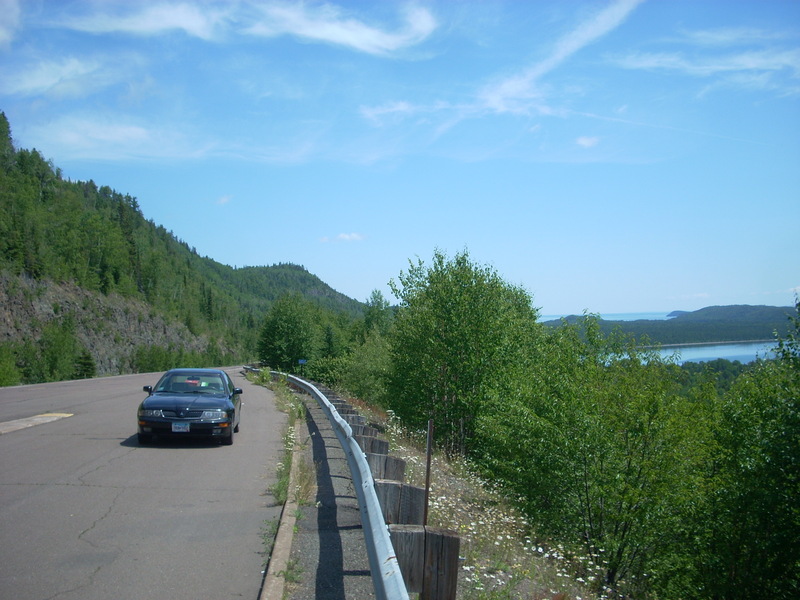 There was a huge debate on the county seat of Grant County being in either Herman or Elbow Lake, with the latter winning the vote. 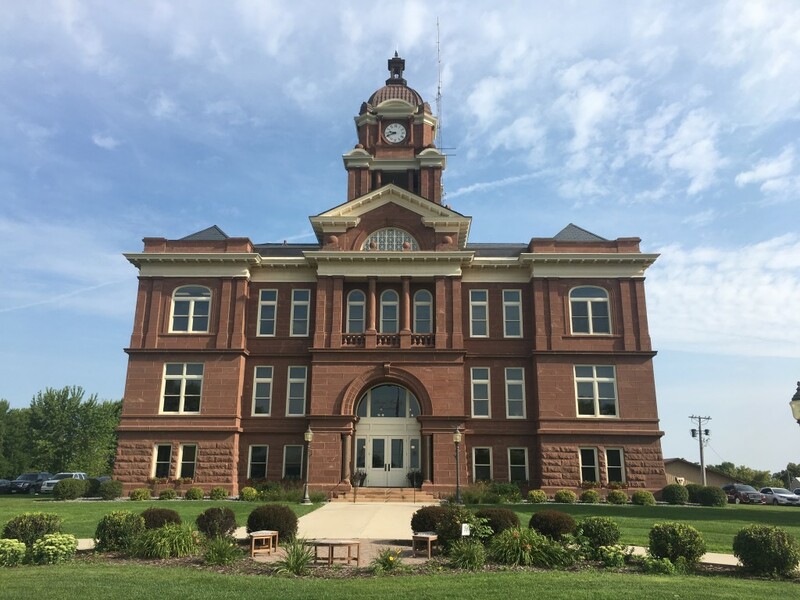 It was built in a combination of both Renaissance and Beaux Arts styles of architecture, and is easily Grant County’s most incredible structure. 5. Rice County (Faribault) Rice County’s magnificent, visually-arresting courthouse was built in 1934 by architect Nairne W. Fisher, who also designed Pope County’s courthouse in Glenwood. It was designed in the Zigzag Moderne style of Art Deco-style architecture, with its bold, curved edges, dramatic angles, and moderne-style glass. 4. Pipestone County (Pipestone) Pipestone County’s elaborately-designed masterpiece was built in 1901 with locally-quarried Sioux quartzite, a red rock trademark of many of Pipestone’s buildings. The courthouse was designed in the Beaux Arts style of architecture and features a square clocktower with copper dome on top. 3. 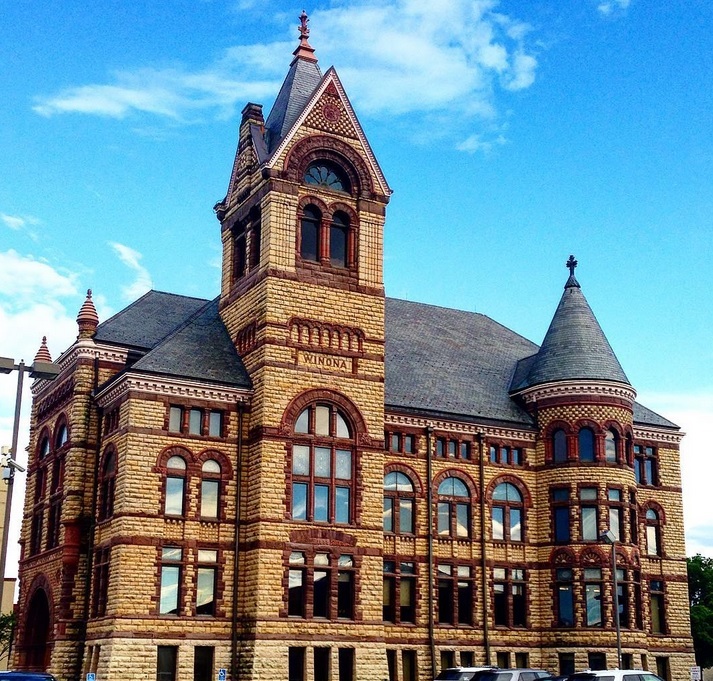 Winona County (Winona) – The historic courthouse in Winona was built in 1889 in the Richardsonian Romanesque style of architecture, along with Victorian influences as well. The brickwork features Lake Superior brownstone and Dresbach sandstone from Wisconsin. In the year 2000, it suffered major water damage from a burst pipe, resulting in over $5 million in damages to restore it. 2. 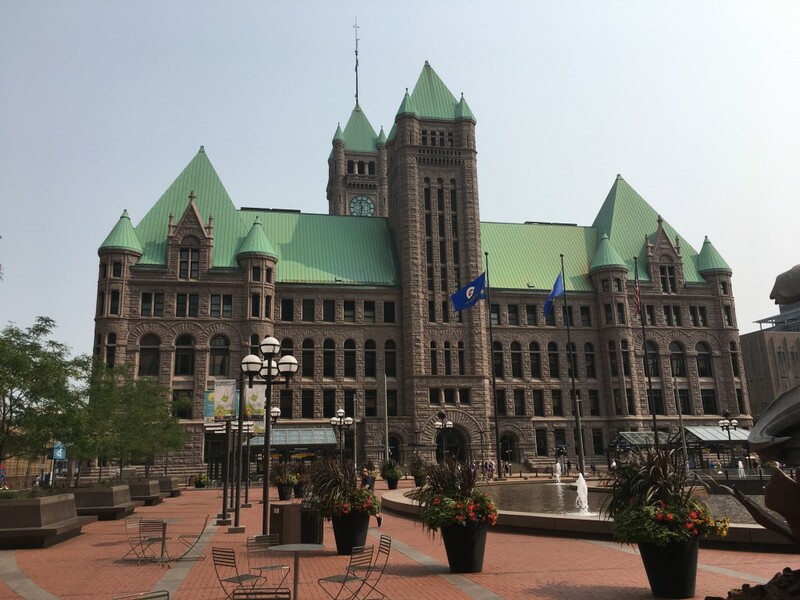 Hennepin County (Minneapolis) – One of the most iconic buildings in Minneapolis, the Minneapolis City Hall and Hennepin City Courthouse building was built in 1888 in the Richardsonian Romanesque style, with granite from Ortonville, MN. Its copper roof is now green with patina, and the pointed spires and clocktower give it the appearance of an old castle. Although the main courthouse facilities have moved across the street to a more modern building, the majority of the Minneapolis City business is still conducted there. It is one of very few buildings downtown that is not connected via skyway. 1. 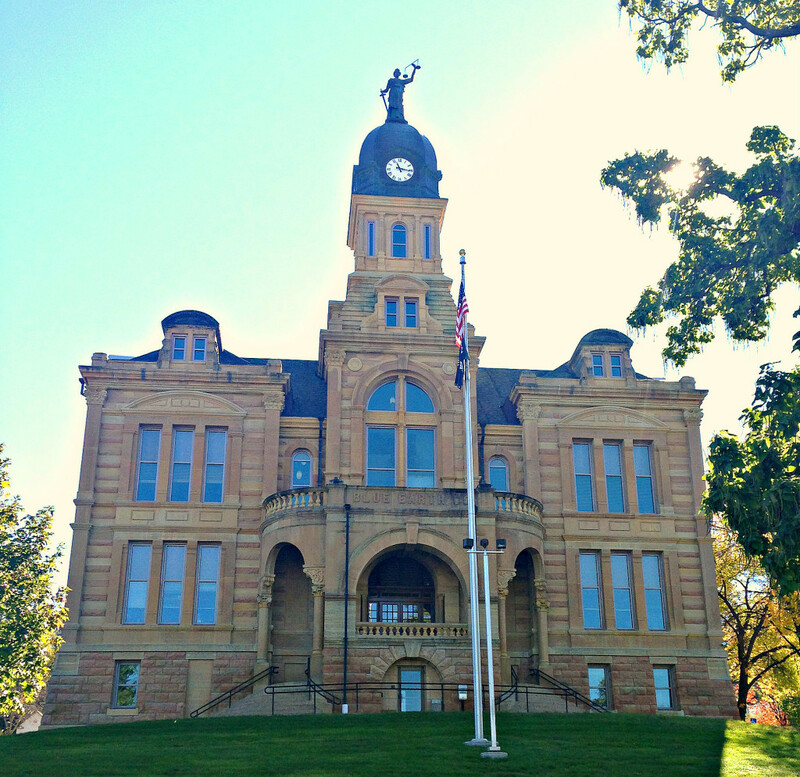 Dakota County (Hastings) – The Dakota County Courthouse in Hastings is a colorful, elegant structure dating all the way back to 1871. It was designed by one of Minnesota’s first architects, A.M. Radcliff, in the Italian Villa style. Similar to Hennepin County’s Courthouse, it is no longer used as the main courthouse in Dakota County, but still serves as Hastings City Hall. The orange-trimmed domes punctuate the cityscape of the historic river town as you arrive from the north, making for one of the more memorable arrivals into a town. 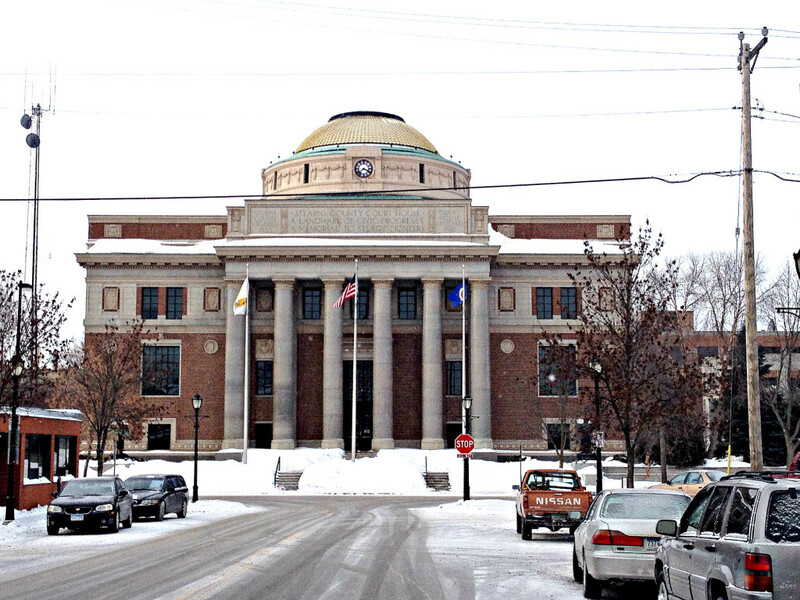 What are your favorite courthouses in Minnesota? Tell us in the comments! Also check out: Top 50 Coolest Houses in Minnesota, Top 20 Coolest Churches in the Twin Cities, and the Top 10 Castles of Minnesota.